Shareholders in Dell Technologies Inc.’s tracking stock cleared the way for the parent company to go public again this morning as they approved a revised offer that gives them control of Dell’s VMware Inc. subsidiary and pays a rich reward to founder Michael Dell and Silver Lake Partners. Under the terms of the deal, Dell Technologies is scheduled to return to the public markets on Dec. 28, trading under the stock symbol DELL on the New York Stock Exchange. The deal caps a tumultuous six-month struggle between Dell, its investment partners and activist investors including Carl Icahn and Elliott Management, who argued that the deal unfairly devalued VMware shares to the benefit of Michael Dell and Silver Lake, which collectively invested $10 billion in Dell when the company went private in 2013. Dell Technologies’ initial offer of $109 per share sparked a clash that forced the company to return to the bargaining table and sweeten the offer. A more immediate benefit will be increased latitude to pay down its debt load, which still stands at more than $50 billion. Today’s shareholder approval gives Dell 81 percent ownership of VMware common stock, a controlling interest it can use to tap the public markets to pay off the debt more quickly. Dell has conducted itself much like a public company even while it was private, according to Vellante. 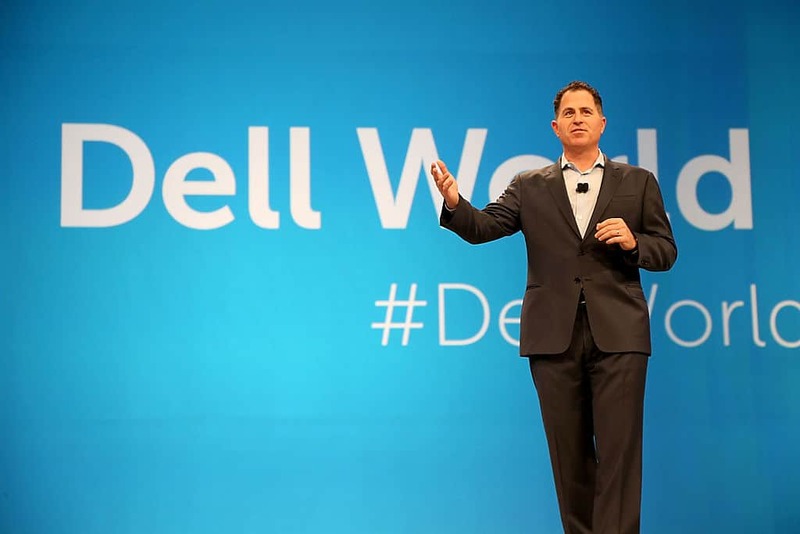 “Dell will be more scrutinized as a public company and it will be harder to write its own narrative, but they’re pretty transparent today in terms of financials,” he said. The DVMT tracking stock was created in 2016 to help Dell finance the EMC deal. VMware was widely seen as the jewel in the crown of EMC’s collection of acquired companies, and the tracking stock was a way to give EMC shareholders a continued stake in the company. EMC had bought VMware for $635 million and today the virtual-machine software company has a market capitalization of $67.2 billion, or more than 100 times the price EMC paid. The DVMT tracking stock is up nearly 140 percent since it was created. Despite that performance, some investors grumbled that the deal didn’t give them enough of a stake in VMware’s success. Investment bankers had originally forecast that DVMT shares would trade at about a 10 percent discount to VMware stock, but the actual discount turned out to be closer to 40 percent, with the difference amounting to a windfall for Michael Dell and Silver Lake. The Financial Times this week estimated that the delta netted Dell and Silver Lake about $11 billion in paper profits.